Hope everyone had a wonderful holiday and is enjoying all the great sales going on. Everything Scrappn is having a HUGE sale with everything 55% off so be sure to check that out. Some other sales I'm also excited about sales at Apple and Bubbly Shnooks, so check them out too. Scrap Mojo's challenge is due on this coming Sunday, November 30th. The challenge is to scrap a statement and include ink on your project. 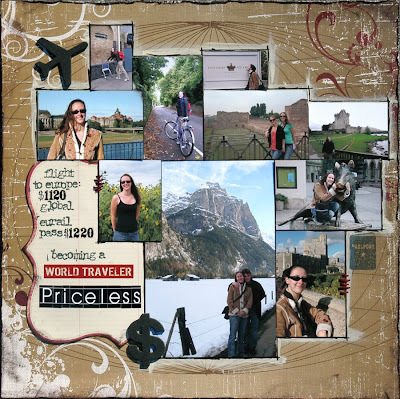 I scrapped photos from my trip to Europe and made a Mastercard statement. We hope to see lots of participation! Dan and I just recently celebrated our 4th anniversary so I have a new page to add to his album that I started for him last year. 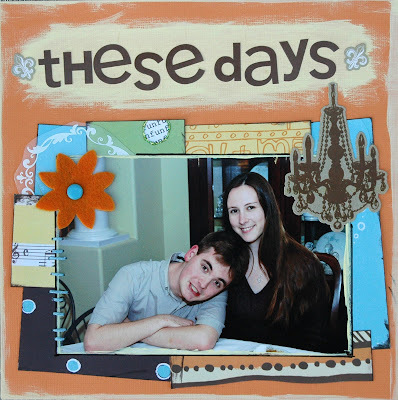 This is for the new Say It In Scrap challenge: use "These are the days" as inspiration for a page or project. I had a lot of fun using some older product. This challenge is due in 4 weeks. i tried shopping at Heathers site at 9pm (pacific) on black friday, but the sale was over :( I was bummed cuz i had stuff in my shopping cart i saved from the night before. I didnt know the ended on eastern/central time. wooow amazing layouts!!!! Love them! I meant to stop by and say thanks for the stop-mo film comments a few days ago, too! he he...the title of the film was the funnest part (totally all my handiwork..well the stencilling, compositing, and animating of it, not the idea..lol). Its since had like 100,00 hits on youtube! ha ha...So funny! 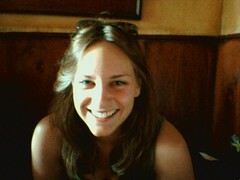 :) Anyhoo - hope all is well! love the scraps girl! awesome stuff! !